We would like to welcome five chapters into the Pi Gamma Mu family! 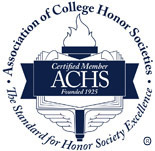 During the 2012-13 school year, we have added these new chapters: the Kansas Lambda Chapter at Wichita State University, the South Dakota Zeta Chapter at Presentation College, the Utah Gamma Chapter at the University of Utah, the North Carolina Omega Chapter at Livingstone College, and the Florida Mu Chapter at Bethune-Cookman University. The international Board of Trustees is searching for a new international executive director of Pi Gamma Mu and a new editor of Pi Gamma Mu's International Social Science Review. Dean J. Fafoutis (right), a member of the history faculty at Salisbury University in Salisbury, Md., who has been the editor of the ISSR since 2002, is retiring as the editor next month. The board deeply appreciates his outstanding service to Pi Gamma Mu and is conferring on him the well-deserved title of "editor emeritus." Amanda M. Wolcott graduated from my university--the University of North Georgia--with a B.S. degree in psychology in 2011. 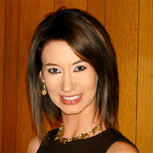 While at UNG, Amanda was president of the Georgia Kappa Chapter of Pi Gamma Mu. She is now a Ph.D. student in industrial psychology at the University of Central Florida. At the 2011 triennial international convention, Amanda was elected to Pi Gamma Mu's international Board of Trustees for the 2011-2014 triennial period. Her education and insight about organizational behavior have been very useful to us as she serves as the chairman of the board's Personnel Committee. I am turning this column over to Amanda this month, so that she may share some thought-provoking reflections about motivation. 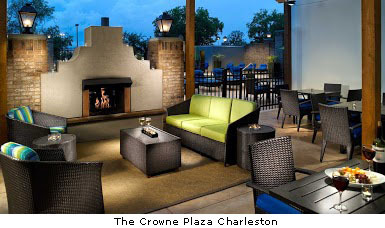 Plans are coming together for our next triennial international convention to be held in Charleston, North Carolina. We gratefully acknowledge those who donated to Pi Gamma Mu during the 2012-2013 fiscal year, which concluded on August 31, 2013: Dr. Charles Hartwig, Dr. Janice Monti, Darrell P. Jameson, Charles Joseph, Dr. John Patierno, Dr. Larry Heck, Dr. Barry Friedman, Dr. Susan Kinsella, Dr. Clara Small, Dr. Yongsheng Wang, Dr. Jean Karlen, Dr. Stanley W. Moore, and Dave Watters. Honor cords are available at the Pi Gamma Mu office. You can proudly wear these attractive royal-blue and white cords at your graduation. The price of the cords is $15 each plus $2.95 for shipping and handling. 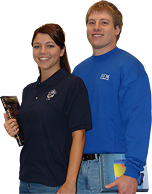 Honor cords are our most popular item. Please plan ahead and order your honor cords early. Send your check and return mailing address to headquarters or call (620-221-3128) with your credit- or debit-card information. President Barack Obama's handling of the Syrian Civil War leads to questions about his leadership and decision-making ability. The president's indecisiveness and back pedaling on the decision to use military force against Syria's Assad regime once again gives his critics ammunition when it comes to questioning his strength as a leader. After much tough talk of no tolerance for the use of chemical weapons in the Syrian civil war, Obama curbed his threats and acquiesced to Russia's proposal to have the Assad regime surrender all of its chemical weapons to the International Community. College provides a unique opportunity: the chance to dive deeper into the topics most relevant to our lives, to gain knowledge that took centuries to amass, to broaden horizons, and to achieve a clearer understanding of the issues close to one's heart. I doubt that anyone, least of all myself, would ever denigrate the value of an education. But after the textbooks and the courses, then what? You study, you learn, and you go to bed every night comfortable in the knowledge that you know more today than you did yesterday. And that's good. However, why stop at good? Why not go for great?